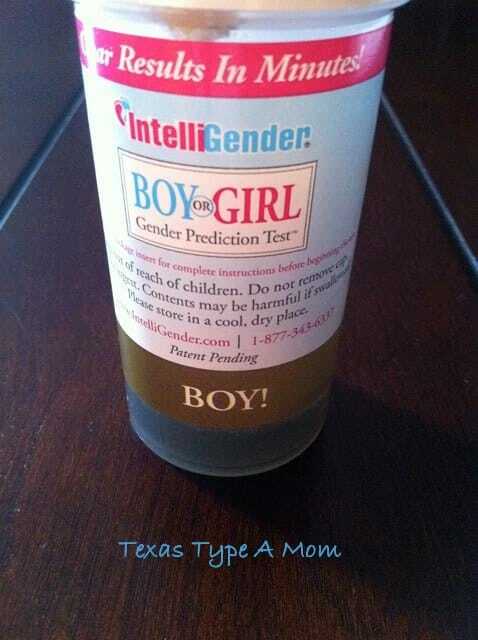 Home » Family » Pregnancy » Boy or Girl? Does the color at the bottom match girl? Edited to add: the results are supposed to be whichever the color most closely resembles. 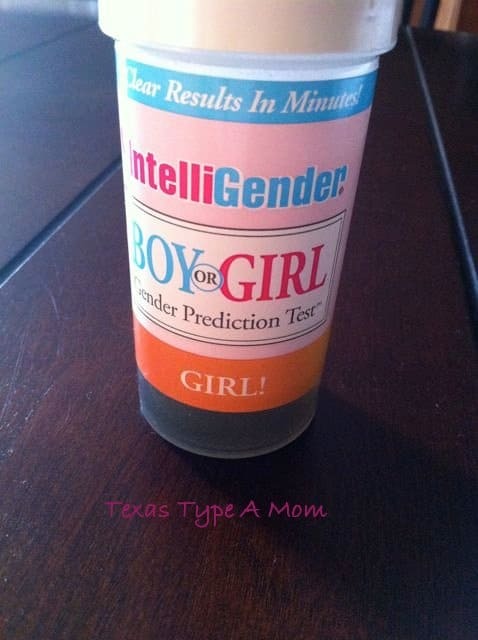 If it’s yellow/orangish (the urine doesn’t change much), it’s supposed to indicate girl and if it turns a brown/green it means boy. Based on this test, I’m saying the results are boy. Looks like girl to me! I don’t think it matches either one, lol. Either way…congratulations! Looks like boy to me. Either way, congratulations. I can’t quite tell, it doesn’t appear to be EITHER color, or maybe we can’t decipher because you’re actually carrying one of each? Hehehe. Awwww! Can’t wait to see! Are you going to find out or just have him/her be a surprise? How embarrassed am I? I didn’t even know you were pregnant! CONGRATS!!!! My vote is boy, too! AWESOME! Can’t wait to see if it’s true!! I can’t believe how far technology has come! That is so cool! Can’t wait to see if it is right or not!! I would say it matches boy more too. You haven’t found out for sure yet, have you? Oh don’t say that! I’ve had two ultrasounds already – I would hope they’d be able to detect the second baby by now. Girl, there is NO way I could not find out. And as soon as possible! I should find out what I’m having on 11/1 but that’s still a month away. It’s going to kill me until then! I hate not knowing!